The George Westmore Research Library & Museum is proud to announce the addition of approximately 2,500+ motion picture movie posters to its collection. An anonymous donor contributed them to the 501(c)3 non-profit Library & Museum for historical preservation. The collection of posters was amassed over a 45-year period, from a working member of the Hollywood community, who had a deep appreciation for Hollywood film history. Movie posters have become important pieces of art as well as iconic symbols of our culture. They not only create lasting images that demonstrate the manner in which the movies were marketed but also create an emotionally connection with each of us to a special time and period in motion picture history. 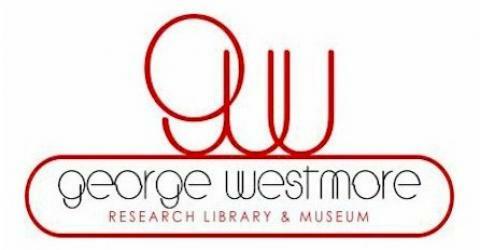 The George Westmore Research Library & Museum has joined the “New Media Generation on “Youtube.com, Tweddoe & Twitpic” with postings of a new video. In the history of the modern American movies, there are but few legacies of makeup artists. Only one family features four working generations: The Westmore’s of Hollywood. With ties to virtually every studio in the annals of cinema the Westmore’s created classic beauty makeups back to the earliest years of silent film. George Westmore career began in 1901 he opened a hair dressing salon, Newport, then worked in Canterbury, Kent, until after 1906, in Montreal, Toronto, and Quebec, Canada, and Pittsburgh, San Antonio, New Orleans, Buffalo, St. Louis, and Washington, D.C. In 1913 he added makeup to his repertory, Cleveland; began teaching Perc and Ern the art of wigmaking when they were nine; 1917 he was working at Maison Cesare, Los Angeles, first began at Selig-Polyscope Studio moving on to Triangle Film Corporation (a.k.a. Triangle Motion Picture Company), and other studios: responsible for Mary Pickford’s curls in the late 1910s. George’s greater contribution, though, may have been in fathering six sons, all of whom went into makeup design.